I would really like to hear from you soon. Are you learning anything from the site? What do you think of the new look? What else can I do in order to make it pertinent to your walk with Jesus Christ. write me or send me an e-note today. Thanks. If you would like to talk, my office hours 8A-5P. Call me, it is a good chance that you will reach me there. The ministry has taken on a different look. 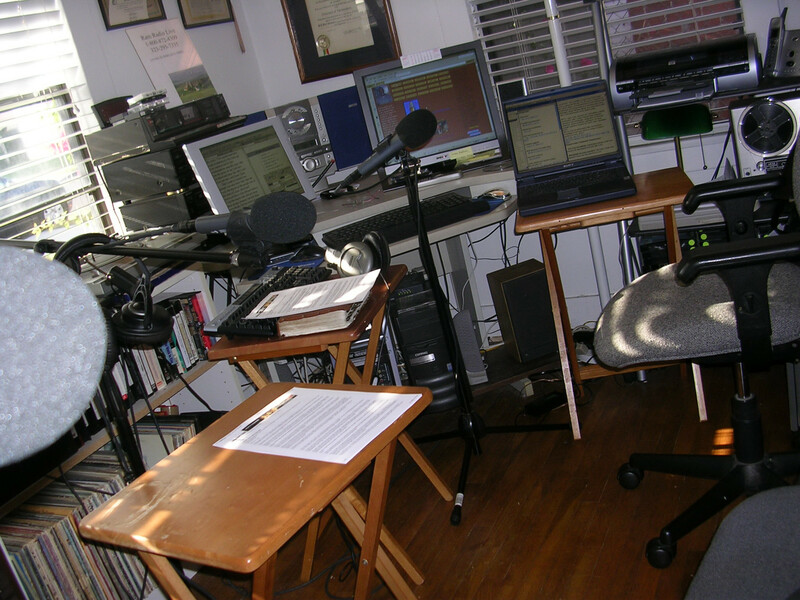 It is more like the heart of the Lucy Coleman Studio; for "Ram Radio Live The Web Cast". This is the place where the studies take place. 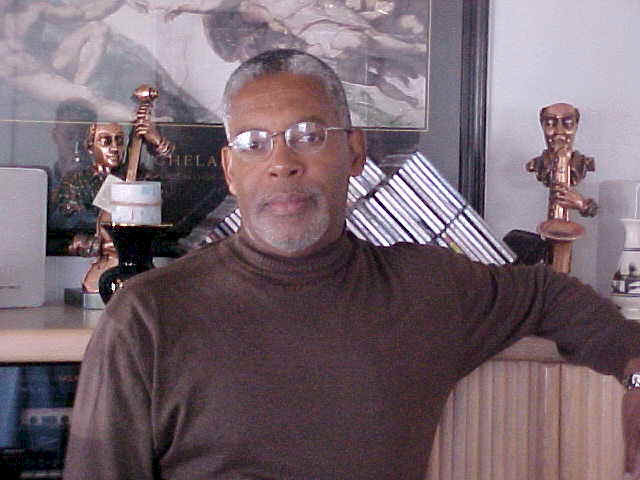 me in the room of radio equipment doing what the Lord called me to do so many years ago. Most of my time is spent here in this room, alone working and toiling with the church. The Christian Fellowship "Anselm" meets every Sunday in locations located all over Los Angeles. It is important that you contact me if you would like to worship with us. There was a time when you could locate the church building, that time has passed. I no longer believe in the purchasing of buildings for the purpose of meeting with God's people. We have been blessed of the Lord to have comfortable rooms to meet in. Our worship experience consist of a hand full of "true believers" that love the Lord and His blessed word. If you are serious about meeting with us, you must call the office and introduce yourself to me. At that time, I will determine (based upon our conversation) if you are serious enough to come and be with us. Most of the people that come to Anselm were not offended by that conversation, and have been blessed as they listen weekly to God's message from the bible.